T-Shirts, Taco Soup, Apple Muffins-YEA! Ok to start with I have to tell you that my wonderful, amazing, incredible, handsome husband just purchased advanced tickets for New Moon this Friday night!! AHHHHHHHHHHHHHHHHHHHHHHHHHHHHHHHHHHHHH OMGosh I am so ecstatic! He is so not looking forward to going at all, that makes me appreciate them even more. I will see you Friday 11/20 at 9:20pm!! Ok I’m done, I apologize to you non-Twilighter’s ;). Today was a fun day! 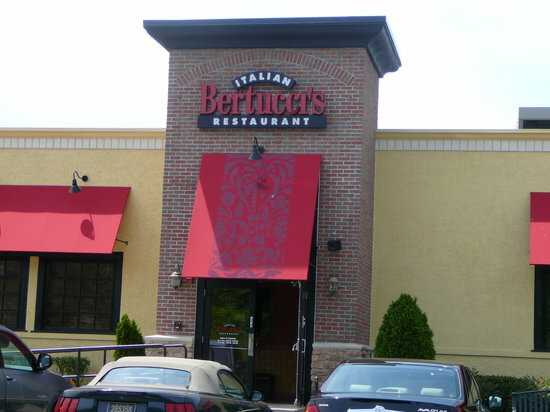 We took off early to Emerald Square Mall to do some Christmas browsing and have a little lunch at Bertucci’s. The hub and I split a Chopped Chicken salad, it was soooo good and so huge. After shopping and lunch we came back to the casa and watched Monster House. Zachary laughs so hard at that movie, we have to pause it so he can catch his breath. Funny thing is, he laughs during the non-funny parts which in turn makes us laugh. There is nothing better than listening to my guys laugh and play together. Great afternoon, but it went by so fast! The hubby had class tonight and I had tons of work to catch up on and a house to clean before tomorrow. I pulled a quickie out of my hat tonight and made Girl Gone Healthy Taco Soup! An old stand by, gotta love the fix it and forget it meals! For dessert, Apple Walnut Muffins!!! Tomorrow is the LAST day to enter the PROBAR contest! You have until 4pm Eastern time to enter and it’s so easy! Also, if you’d like a Girl Gone Healthy T-Shirt please email me at: girlgonehealthy@hotmail.com with your size, the color you’d like, and how you would like to pay. You can mail a check/cash directly to me or use Pay Pal but I need to know your payment form so I can mark it on my list. I will contact you as soon as the order is placed to send payment! ALL ORDERS MUST BE IN BY NEXT MONDAY! The sizes are Small, Medium, Large, XL and you can choose white or grey. Allright friends, I’m off to watch CSI:Miami which is already in progress, TGFDVR! Thanks goodness for DVR ;).